Welcome to Advancement International Ltd.
USA manufactured* quality products at prices you'll love! We're here for your electrical wire terminal needs,whether it's in small quantity, or skid orders. In over 30 years of business, we've put our customers first, providing exceptional service and the best quality products to customers large and small. *Made in the USA from Domestic and International Parts. Advancement International Ltd. is a woman owned, internet based, direct sales, stocking distributor. Founded in 1985, and serving our customers for more than three decades. We supply UL Listed mechanical wire lugs and splicer-reducers (screw type), and Flex cable adapters (crimp type). These lugs are also known as mechanical compression lugs, Listed cable and wire connectors, wire terminals, splicers, reducers, current carrying wiring devices, ground lugs, bus (buss) connectors, or bus (buss) lugs. When connectors are UL Recognized, they are sold for use by qualified OEM integrators with the required agency oversight of the assembly into which they are fitted. Listed connectors that conform to UL486 and are used widely in UL508A panels meeting and type of electrical panels. Listed connectors meet category ZMVV listed in the SA1.1 list. Flex Cable Adapters are copper compression adapters for reliable termination of highly stranded flexible copper cable used in locomotive, mining, marine, wind power, transformers and machinery applications. These adaptors fit into existing connectors which are not rated for flex wire. Thus enabling non-flex code wire class B or C rated wire mechanical set-screw type connectors to hook up to Flex wire. We sell only premium products made in the USA* by International Hydraulics, Inc. (IHI), Brumall Manufacturing Co., and Greaves Corp. The connectors, where indicated, conform to UL486A-B, the unified US., Canadian, and Mexican electrical standards for solderless wire connectors or other applicable UL and/or CSA standards as noted for each item. We offer very competitive discounts to help you get automatic discounts when you buy more. Purchase around $200 of any stock and get an automatic 25% volume discount. 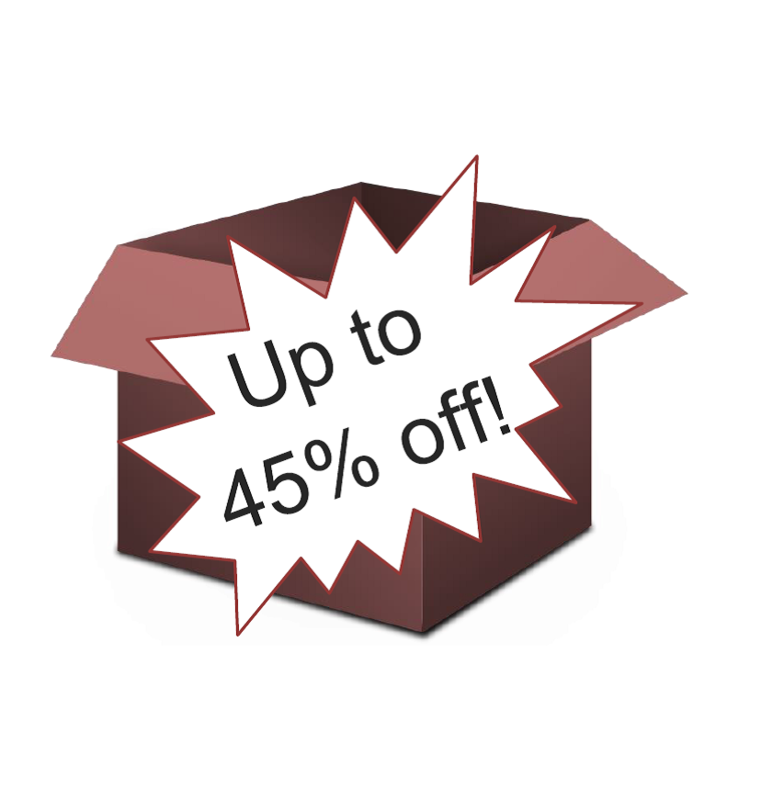 Save up to 45% by ordering full box quantities. If you have a high quantity, and/or regular shipment order, please email for special OEM contract prices. Located in North East Ohio, LugsDirect.com ships direct to you from stock by trackable parcel service to your location. Selected IHI brand Listed Lugs and Splicer-Reducers are now UL Listed and CSA Certified for use with Fine Stranded Copper FLEX cables as well as Conventional Rigid Stranded Wire Classes B / C Compact in copper and aluminum. Look for "FLEX" designation on individual IHI brand lugs. LugsDirect.com sells IHI brand "FLEX" tested lugs which are approved, after extensive current/thermal and mechanical testing under UL486A-B /C22.2 No. 65. IHI is the Registered Trademark of International Hydraulics Inc. .